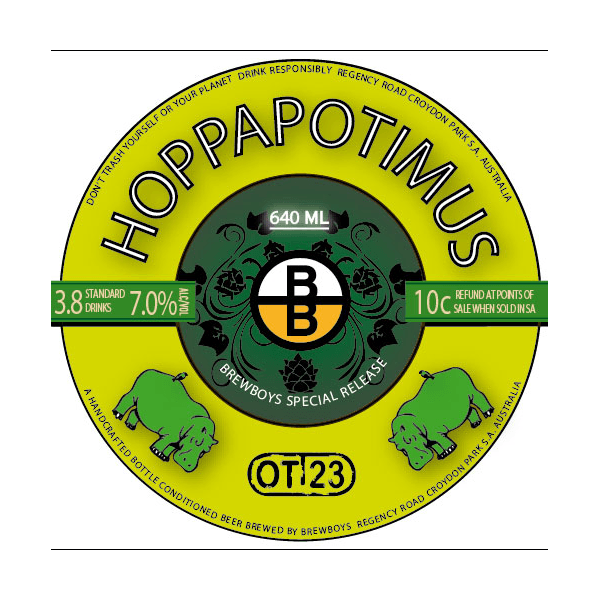 The Hoppapotamus has an IBU 80+ to blend with the initial malt sweetness, resinous fruity hop flavour and aroma. A very well balanced brew. Hoppapotamus is an All Australian Pale Ale designed to keep the Hop heads happy! It is mashed using 8 different malts giving its distinct malt back flavour. 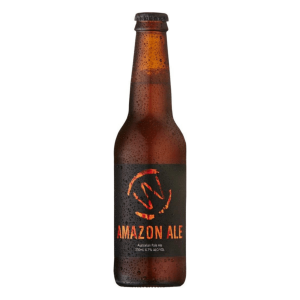 It had to be malty enough to take the hefty smacking of hops delivered through kettle additions every 10 minutes along with a big dose in the “Hop Back”. If that wasn’t a big enough clout, Galaxy flowers were put in the fermenter, “Dry Hopping” during the lengthy maturation period.